The best ideas for neighborhoods come from within. But sometimes it's okay to look over your neighbor's fence for a little inspiration. This is also true for "neighbors" that are hundreds of miles away, in another city's neighborhood. And surprise, surprise, they're asking the same questions. Like, how can we do urban development differently? And how can we make sure more people have a seat at the table? This was the impetus for a packed coffeehouse on West McNichols in Northwest Detroit on a recent snowy evening in December. 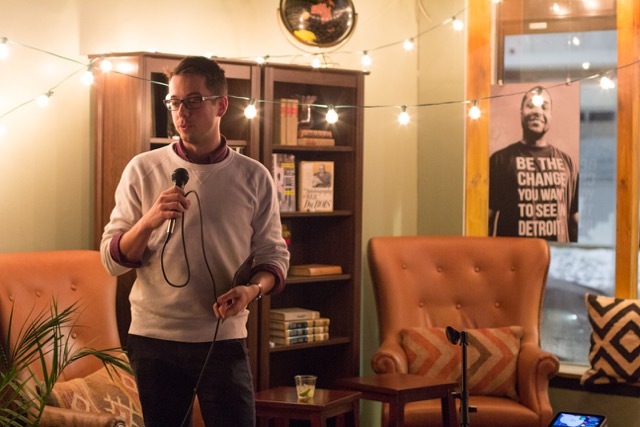 Detroiters gathered for a special "speakeasy" for urban exchange, hosted by Live6 Alliance, Urban Consulate and Model D, with guests from Chicago and Philadelphia. Sharing ideas by candlelight, between jazz and libations from Detroit City Distillery and Axle Brewing Co., a mix of locals and visitors spoke of ethical redevelopment, community engagement, and empowering the next generation of entrepreneurs to create more vibrant, equitable cities. Here's a recap of the three projects that were shared. 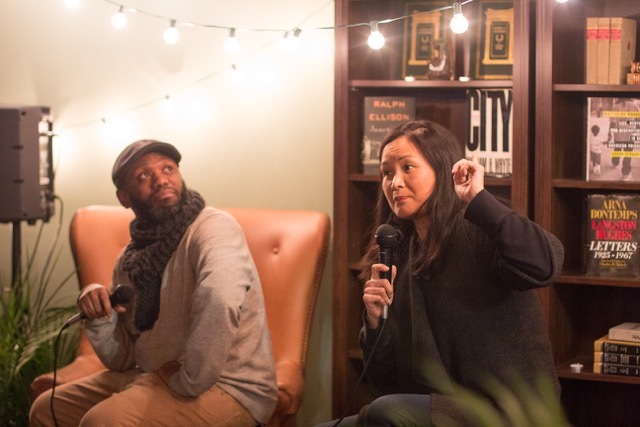 Since last summer, a group of Detroiters have been traveling to the South Side of Chicago to learn from artist and community developer, Theaster Gates. His work started with a few humble houses called the Dorchester Projects and expanded to larger edifices like the stunning Stony Island Arts Bank and the Arts Block with University of Chicago. From these projects, Gates and his team have gleaned 9 Principles for Ethical Redevelopment that they share and refine with input from urban practitioners from around the country. Carson Poole of PlaceLab joined us to share the principles and their real-world applications, like "Take stock of what is around you. Use what you have or is available at the time," and "Provide multiple access points and ways to participate" for residents to help shape their neighborhood. In a world where the biggest investment hype is often recruited or imported, Gates' work reminds us to start from within. "The hip­-hop industry was built by entrepreneurs who revolutionized the world of business," said IHHE founders Tayyib Smith and Meegan Denenberg of Little Giant Creative in Philadelphia. "Their creative economy continues to inspire and impact culture, social justice, and many other industries well beyond their respective communities." 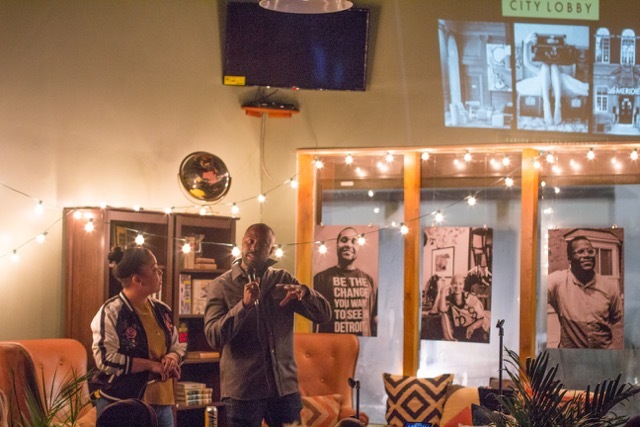 Thanks to a 2016 Knight Cities Challenge grant, they're using the ethos of Hip Hop to connect nontraditional, ambitious young entrepreneurs with the resources, knowledge, and contacts needed to take their idea to reality. What does this have to do with neighborhoods? Everything. If we are to fill these city storefronts and buildings with the kinds of small-scale businesses that create local jobs and help communities thrive, we're going to need a strong pipeline of next-gen entrepreneurs who are socially conscious and deeply rooted in place. Sometimes the biggest challenge for neighborhoods is just getting neighbors together, to get to know one another, build trust, and share stories and ideas. Michelle Freeman and Jermaine Jenkins of Witty Gritty in Philly shared one example of a low-budget, high-impact community event to promote neighborhood unity and pride. Convened by a coalition of partners in Philly's South/Old Kensington neighborhood, American Street Feast invited neighbors and business owners, young and old, longstanding and recently arrived, to share in conversation and a family-style meal to display the culinary traditions and creative talents of people who live and work in South/Old Kensington. What made this different than your regular old community block party? Two details we loved: First, they kept the invitations private, for local residents only, not for publicity. Second: They commissioned local artisans and printers to create custom-designed place settings. The result was a beautiful, multicultural, multigenerational event with an impressive attendance. For more images, check out their blog here. Interested in learning more about creative people, projects and ideas from other cities? Follow Urban Consulate on social media @UrbanConsulate for future conversations and exchange. Many thanks to the friends who made this event possible, including: Live6 Alliance, Urban Consulate, Model D, Detroit Sip, Detroit Collaborative Design Center, Patrick Thompson Design, Trumbull & Porter, Detroit City Distillery, Axle Brewing Co., Knight Foundation and Kresge Foundation. All photos by Bree Gant.